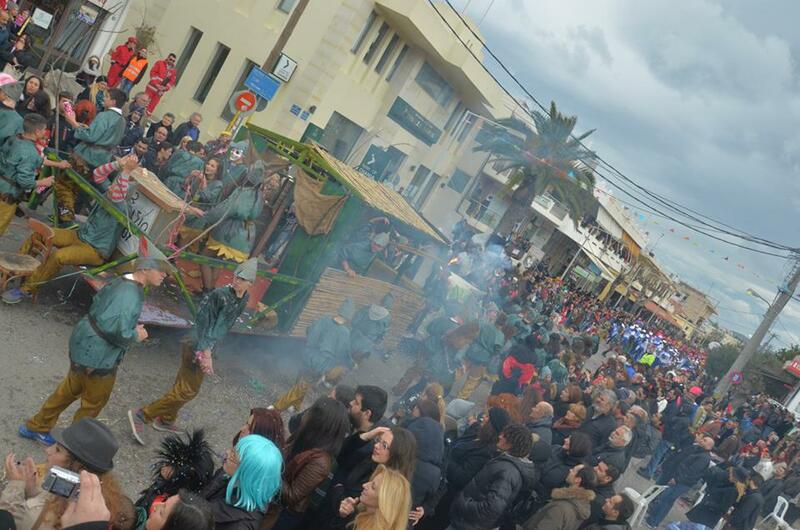 Home/Days to Remember/10th Kissamos Carnival – Everything you need to know! For the 10th consecutive year Kissamos Carnival is here to offer joy and happiness to kids of all ages! Do not lose the chance, BE PART OF IT. Spent this special day with your friends and family in a town full of happy and crazy people. 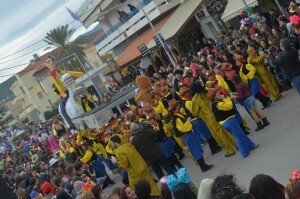 Spent this day in the biggest party of west Crete! In 3 weeks time, Sunday 13/02/2016. It starts at 15:00 but we suggest you come a bit earlier. Plenty of space to park will be available. 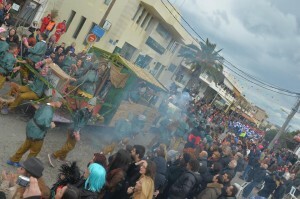 It takes place in the main street of Kissamos, Iroon Politechniou. Who takes part in the parade? More than 10 teams and thousands of visitors will be there to attend this party. You do not have to be part of a team. Just enter the party and dance. Are there any other events during the day? The whole day, until late at night, people are in the streets and in bars/cafes dancing, drinking and having fun. Monday 14/02/2016 is called Clean Monday or in Greek “Kathara Deutera”. It is national holiday in Greece. People got to nature, go for excursions, eat the traditional bread, “Lagana”, tarama sauce, and other traditional meze. You can find a great variety of these in any super market of the area. It is also a tradition to fly kites. There will be many available in the streets to buy. Get one and touch the sky! Where else to stay other than Villa Veghera! Make us a request and we will come back with the best possible offer for this long weekend! If we are booked, there are plenty of hotels and villas in Kissamos.